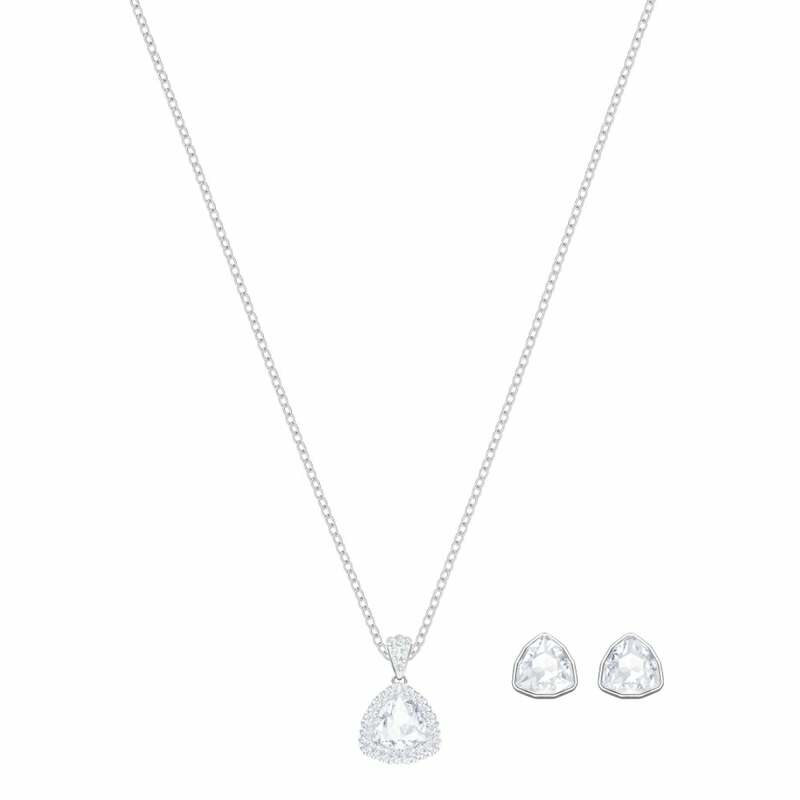 Timeless elegance and sophistication are sure to be yours with this lovely set from Swarovski. It is aptly named too, being the perfect way to begin a jewellery collection. It is characterised by a solitary pear shaped crystal that has been faceted for maximum shine. We adore the pave that decorates the pendant, adding a little extra glamour to an otherwise plain and simple set.